Call us today for a free quote on mold remediation! If you've recently had flooding in your home or are purchasing an older house, there is a chance that there could be mold present. Mold, if left unchecked, can have major negative effects on the health of you and your family. Don't waste time in getting rid of it, and don't try to get rid of it yourself. Even dead mold gives off spores and chemicals that can make your family sick; mold remediation must be done by a trained professional with the proper equipment. Advanced Mold Detection Services serves the Concord, MA area with black mold remediation services that are guaranteed to effectively remove all harmful mold from your home. Have you noticed musty, moldy odors from your basement or another area inside your home? What about dark discolorations on your attic ceiling, basement sheet rock walls, wall paneling or other building materials? Other signs of mold can include water stains on ceilings, walls or floors; recurrent water leaks, a wet basement, or a leaking or burst pipe. If you suspect that there is mold in your Concord, MA home, don't wait - call Advanced Mold Detection Services right away. With our black mold remediation services, we will detect, remove, and dispose of all mold that might be present. The first step, as part of our specialized on-site mold remediation services, includes a visual inspection for black mold or any other type of mold growing on interior surfaces of your home. If during our visual mold inspection we detect mold growing in an area, we can take a direct sample from the area or object and have it tested for toxic mold spores. If you suspect that there might be hidden mold in your home or in a home that you are buying, call Advanced Mold Detection Services. We can perform environmental air sampling. 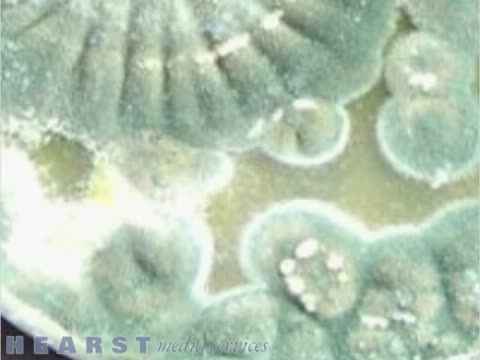 Air testing for hidden mold is one of the best methods used for the detection of hidden mold. Our air quality testing method is used to locate and identify the presence of toxic molds, fungi, and pathogenic bacteria. We then take mold testing samples, each of which is encoded with a unique number sequence for later test result confirmation. Call today to schedule our mold remediation services! If you believe that there is mold in your home, don't waste any time - call Advanced Mold Detection Services right away. Mold can be dangerous! Our mold remediation services are guaranteed to get rid of all mold that might be present in your property. Our trained technicians will remove all contaminated materials and dispose of them safely. Call us immediately if you have found mold in your house! Once we've taken the air sample, it's time to analyze it for the presence of harmful toxins from the mold. Air testing and direct sample cultures are sent out to a certified third party laboratory in MA qualified to process viable and non-viable fungi cultures. Mold testing air samples are analyzed for the presence of over 18 different types of molds. If a risk is identified, a mold abatement plan is then discussed with the client. We remove, contain and dispose of all contaminated materials. Our mold remediation services include black mold remediation. Then, our Black Mold Remediation Technology is applied by trained, professional technicians. If you have noticed signs of mold growth in your home or business in Concord, MA, then our mold remediation services can help. It’s important to start the mold remediation process at the first sight of mold for many reasons. First of all, the presence of mold will eventually cause your indoor air quality to suffer. It may also cause severe health problems especially if an individual is suffering from respiratory condition or other medical issues. Is it gone? How do I know? After a mold remediation job has been completed, our company can perform additional mold testing to the treated areas in the environment where the risks were identified and a mold removal procedure was performed. These can be either indoor air testing or direct sample re-testing. Data analysis from these new culture surveys is made available to the client on a confidential basis. At that point, we can provide a scientific-based before and after evaluation of our work to demonstrate and to provide assurance that the building is safe. Get peace of mind - call Advanced Mold Detection Services! We provide the Concord, MA community with a variety of mold remediation services. If you would like more information about the variety of services we offer, or would like to schedule an appointment, please feel free to give us a call at 978-452-2260.